Advance your skills and learn how to work with multiple strands of yarn to create beautiful mosaic designs. We'll begin with a foundation single crochet spine and then start working in the round. 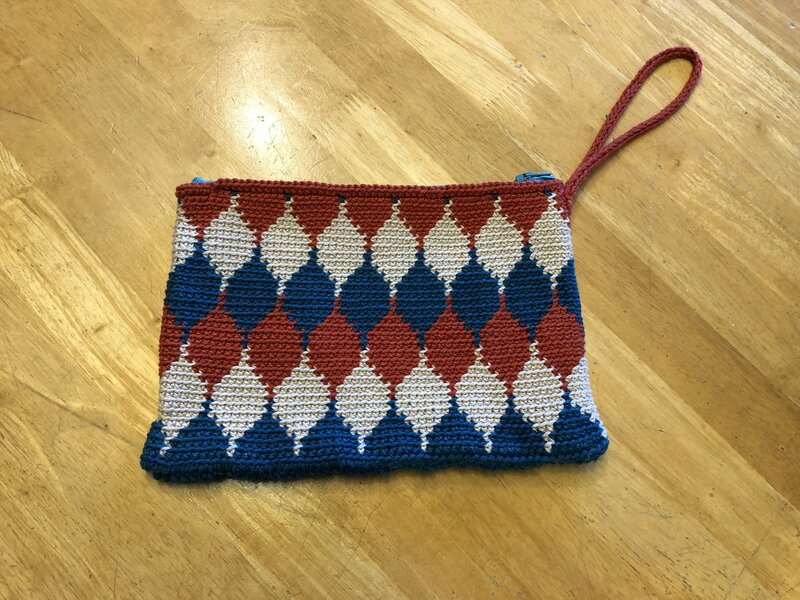 A great introduction to tapestry crochet, we will work with 2 colors at a time all in single crochet. There are no unsightly floats on the inside and the stitches are tight enough you won't need to add a lining to the bag. Materials: 3 skeins Cascade Ultra Pima, Size D (3.25mm) crochet hook, 8-12" zipper, darning needle, removable stitch markers. Pattern will be provided in class. Skill Level: Intermediate, must be proficient at foundation single crochet and single crochet.